Are you in search of a supplier of Zebra-Select-4000 labels or other Zebra-Supreme labels? Discover why more businesses and organizations are turning to Tri-State Business Systems. For over 20 years, TSBS has been helping companies develop their barcode systems and delivering their printer supplies and labels reliably. We have built our reputation on superior service and quality products and supplies. Our clients have recognized the many benefits to a barcode system. Employees can learn to operate a barcode system quickly. A barcode system minimizes errors and improves productivity. Barcodes are simple to print, inexpensive to use and versatile. Barcodes offer you better inventory control and provides more data, faster. Because more information is available quicker, it can help management make better decisions. A well-thought through barcode system can literally pay for itself. 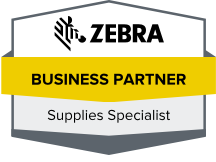 Beyond Zebra-Select-4000 labels and Zebra-Supreme labels, Tri-State Business Systems provides a selection of barcode products and services. When you partner with TSBS, you are able to take advantage of our over 20 years of experience with barcode supplies, equipment and systems. We know how they are effective in a variety of business sectors. Our barcode engineers will help create a new system or assist in upgrading your present system. They will ensure your system is working efficiently and meets your expectations. Many of our customers simply appreciate our attentive customer service when it comes to their supplies. They know we are a reliable source of Zebra-Select-4000 labels and Zebra-Supreme labels. They can count on quality, name brand products from respected companies like Zebra, Datamax and Sony. TSBS customers have come to expect their supplies to be delivered on-time. If you have been disappointed with a barcode supplier or equipment provider in the past, we invite you to contact Tri-State-Business Systems today.